Lipomas are benign tumors that can be found basically anywhere on the body, including the neck, armpits, upper arms, torso, and upper thighs. Composed of fatty tissue, lipomas usually appear as small lumps underneath the skin. Since these tumors are benign, they aren’t connected to cancer and are usually painless. Most often, lipomas are removed at Mountcastle Plastic Surgery in Ashburn, VA for cosmetic reasons. It’s important for patients to realize that while the cost of removal varies greatly from patient to patient, insurance can cover some associated costs. During a consultation, we can go over pricing and verify whether you have insurance coverage. 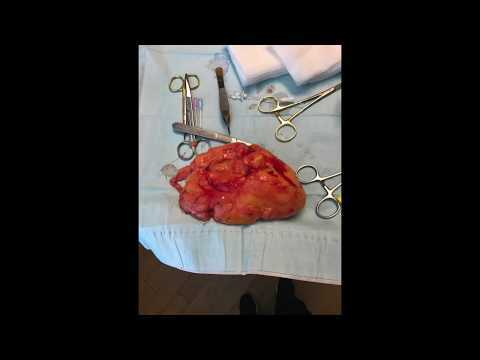 What is the process of removing a lipoma? First, Dr.Mountcastle palpates and examines the lipoma to make sure it is located above the muscle. He will sometimes ultrasound the lipoma to confirm this but most often, a true lipoma is located above the muscle making it very easy to surgically remove in the office. The skin is then cleansed with povidone iodine (Betadine) or chlorhexidine (Betasept) solution. The area is draped with a sterile fenestrated drape. Local anesthesia is administered with 1 or 2 percent lidocaine with epinephrine; infiltrating the anesthetic in the subcutaneous area surrounding the operative field. The incisions are configured like a fusiform excision following the skin tension lines and are smaller than the underlying tumor. 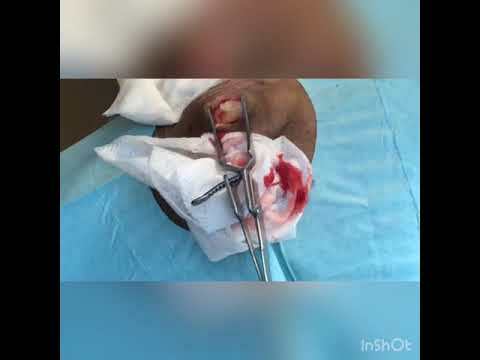 The central island of skin to be excised is grasped with a hemostat, or Allis clamp, which is used to provide traction for the removal of the tumor. Dissection is then performed beneath the subcutaneous fat to the tumor. Any tissue cutting is performed under direct visualization using a no. 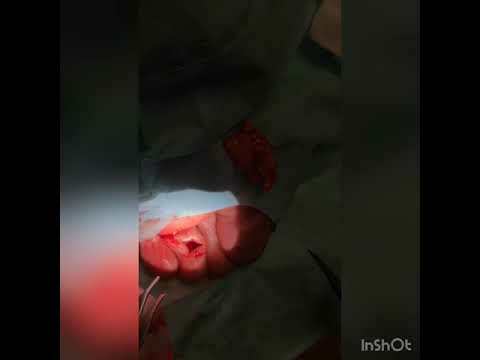 15 scalpel or scissors around the lipoma. Care must be taken to avoid nerves or blood vessels that may lie just beneath the tumor. Once a portion of lipoma has been dissected from the surrounding tissue, hemostats or clamps can be attached to the tumor to provide traction for removal of the remainder of the growth. Once it is freed, the lipoma is delivered as a whole. The surrounding tissue in the hole can be palpated to ensure complete removal of the tumor. The dead space is closed beneath the skin using deep, absorbable sutures. The skin is then closed with superficial, interrupted sutures. A pressure dressing is placed to reduce the incidence of hematoma formation. The patient is given routine wound care instructions; pain medication is not typically prescribed for this procedure. Sutures are removed after 10-14 days, depending on the body location. Specimens should be submitted for pathologic examination. "I had a straightforward lipoma removal. It was fast, professional and ahead of schedule. A day later, I have experienced no pain.I am so pleased. Gary B"
"Awesome Service, Removed Lipoma on my head." "Great atmosphere, great Dr., great staff, beautiful office...didn't feel a thing on my multiple lipoma removal great experience"
"I had a great experience with Dr Mountcastle and his staff. I had a large lipoma removed from the base of my neck and they made me comfortable and put me at ease. The office staff was quick and efficient and the nurses were compassionate and thorough. Dr Mountcastle was great. Very personable, set my mind at ease, and the procedure was finished quickly with very minimal pain. I highly recommend this office." "I had my lipoma removed at Dr. Mountcastle's office. The procedure was reasonably priced. I had consultation and procedure done within one hour. Dr. Mountcastle is friendly, professional, and skillful. The office environment is very pleasant and clean. Highly recommend!" Since each patient’s insurance coverage is different, it’s important to understand your plan in order to know how much, if any, of the surgery will be covered. For example, some patients may have high deductibles where insurance will cover only a small portion of the associated costs. On the other hand, some patients may have 80/20 plans where the insurance may cover a significant amount and the patient is only responsible for their copay. Getting a lipoma removed can be a huge step toward improving not only your self-esteem, but also your confidence. When it’s time to get one or more lipomas removed, we want it to be as affordable as possible. That’s why we are willing to work with your insurance company to get as many associated costs as possible covered. Please contact our office as soon as possible to discuss pricing options and more.